How are tickets priced in the secondary market? This is a question that we get a lot, as buying tickets online can get a bit confusing. 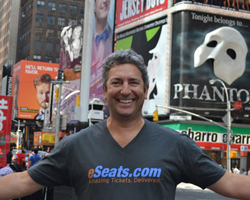 eSeats.com operates in the secondary market, where prices are set by the market, and supply and demand. Tickets in the secondary market will fluctuate depending on factors like how much inventory is available, how popular the event is, and how close we are to the event date. All these factors will affect the market price of tickets on a daily basis. There are many advantages in buying your tickets in the secondary market. Not only do you get a larger inventory to choose from, you also have access to tickets for sold out events. We strive to provide our customers with many options with regards to location, and price to fit every budget. Tickets that are bought in the primary market will not change, and the price that was set when the tickets went on sale will always be the same. Also once tickets are sold out from the primary market, your only option is to look to the secondary market to fulfill your request. Questions? 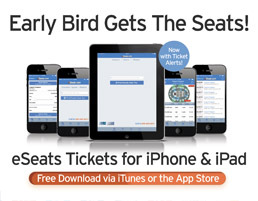 Call our office 480-361-2708 and chat with one of our customer service reps. We strive to have eSeats.com be your first choice when buying tickets. We are here for you and look forward to speaking with you.